In the Age of the Customer, customers control the conversation with the companies they choose to do business with. 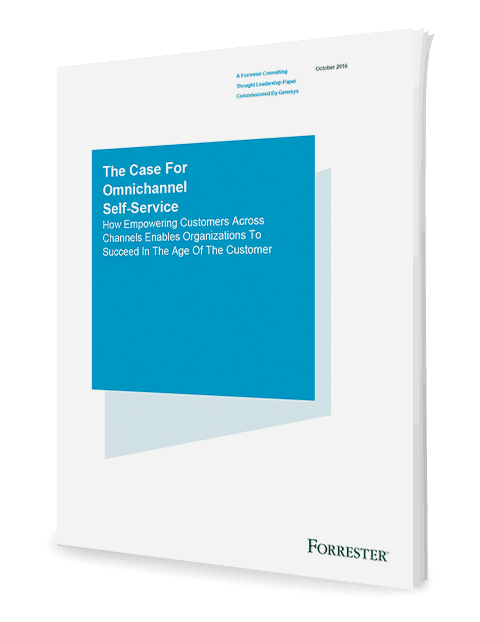 Customers demand guided, personalized, contextual experiences on the channel they prefer. According to a recent Forrester Consulting study, 77% of customers say that valuing their time is the most important thing a company can do to provide good customer service. Companies that are able to provide exceptional customer service experiences that align with those expectations reap the rewards of customer satisfaction and loyalty. GET THE FORRESTER PAPER TODAY!